For the next two weeks, the Stow Independent will take a look at the golf industry in and around Stow, examining how courses have adapted to the changing needs of today’s golfers and how communities view the golf properties that lie within their borders. This week, we will look at one town that took matters into their own hands when faced with a golf course on the verge of selling out. In Massachusetts, 375 courses share in a $2.8 million local golf industry, producing an economic impact of $1.3 billion, according to statistics released by the Alliance of Massachusetts Golf Organizations. After eight years of dwindling participation, coupled with an economy that found courses facing foreclosure and short sales, the Massachusetts golf industry is on the rebound. The National Golf Foundation reports that the number of active golfers in the United States went from 30 million to 26 million from 2007-2009, but for the first time in a long time, local course owners say numbers are going up. Last year, Massachusetts saw a 13% increase in golf rounds played, up over 2012, with golf course owners hoping that same trend continues this season. The Town of Stow, while relatively small in size, is considered a golf mecca, featuring three public courses and a private club. Grouping Stow with the courses in neighboring Bolton and Harvard, the area becomes a premiere golf destination. In the 1990s, golf was booming, influenced by the growing popularity of the sport’s most recognizable player, Tiger Woods. During that decade, over 100 courses were designed and built in Massachusetts. Now 15-20 years later, many of those newer courses have been struggling, were sold for development, or are hanging on, hoping to catch the next wave of golfers. In this region, a group of former club members purchased the faltering Quail Ridge Country Club in Acton, where a developer is beginning to successfully build and sell homes alongside the fairways. In the Central part of the state, many smaller courses have been sold, along with some bigger names like Pleasant Valley and Sterling Country Clubs. In Warren, Scottish Meadows Golf Club was sold to a Florida developer who will locate a solar farm there. The Shaker Hills Golf Course in Harvard was sold at auction and has undergone extensive renovations to the course and clubhouse, reopening this spring as a reincarnated version of its former self. 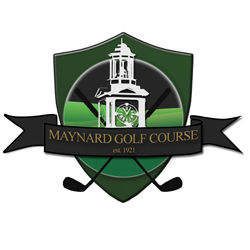 In Maynard, The Board of Directors of the Maynard Country Club approached town leaders in 2011, telling them that the private 1920s-era course was being put up for sale. Facing financial difficulties, the small group of members was in discussion with a developer whose purchase offer would allow them to pay off the mortgage. They approached the town and offered them that same purchase opportunity, and the town responded favorably. While not all residents partake in the game of golf, residents and town officials saw the benefit to preserving the open space; so much so that they allocated the entire $2M purchase price to be funded through accrued Community Preservation Act funds. A positive vote at Town Meeting allowed the town to purchase the 66 acre property and the clubhouse. A few months later, the town hired Sterling Golf Management to operate the course, with SGM paying a $50,000 fee to the town for each year of a three-year contract. In 2012, SGM renovated the clubhouse and kitchen and developed a maintenance program to return the greens and fairways to top condition. They partnered with the Assabet Valley Boys & Girls Club to develop a junior lesson program; created early bird, sunset, senior and family special rates; and most importantly, opened the course to the public. Brad Durrin, Golf Pro at the newly named Maynard Golf Club, said golfers today don’t have as much leisure time as they did in the 1990s. In fact, many of today’s golfers are never disconnected from their office thanks to smartphones and portable devices. As work hours increase, people are looking to spend more time with their family, so MGC worked to create a course where families could golf together at an affordable price. They introduced programs to grow golfers at all levels. According to Durrin, the 9-hole course is well maintained and presents enough challenge that a golfer or foursome can play before or after work, and still get to the office or home with plenty of time to tend to the other important areas of their lives. As part of the town’s due diligence in expending the CPA funds, they have formed the Maynard Golf Course Reuse Committee, examining all of the possible uses for the property that fit under the CPC umbrella – passive and active recreation, affordable housing and historic preservation. The group has held public site walks and forums that have produced ideas for everything from a community swimming pool, to public gardens to a cross country ski area; all of which might be compatible with the 9-hole golf course operation. The committee is expected to submit their recommendations in July. In the meantime, Durrin and his colleagues are actively marketing the course and its clubhouse. Golfers have been coming out to the course since the warm weather hit, but there is still confusion about its status, especially among golfers from neighboring towns, said Durrin. While existing as a private club for years, some golfers assume the status has not changed, even under new management. Durrin said that the club is completely public, with tee times available from 7am – sunset, and a layout that can be walked or ridden in a cart. “60% of our golfers walk,” he said, explaining that the rolling terrain provides a challenging yet playable Donald Ross-type layout. While the course is the priority, SGM is also focused on the clubhouse. “Functions can make or break a 9-hole course,” said Durrin. The clubhouse is available to public and private groups for meetings, sports award and banquet nights, family reunions, weddings, birthdays, etc. and is booking functions at twice the rate as last year, he said. 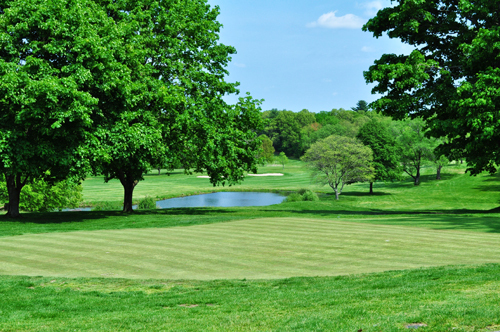 Next week, our series continues with a look at the current state of the courses in Stow and their plans going forward. We’ll also introduce you to the reborn Shaker Hills Country Club in Harvard, coming back to life after a public auction brought forth a buyer who has invested over $5m in the property. The former Maynard Country Club is now the public Maynard Golf Club, purchased by the town with CPA funds and open for use by area residents.